Editor’s note: Barnik C. Maitra is a partner at McKinsey & Company’s Mumbai office and co-editor of Reimagining India. Adil Zainulbhai is Chairman of McKinsey India and co-editor of Reimagining India. The views expressed are their own. In a village 100 miles from any cities in Andhra Pradesh, a young woman, three months pregnant, is getting her first and only medical check-up. This is happening on board a visiting medical van that now comes to the village every month. The paramedic gives her basic vitamins and enters various vital parameters into an online data base. Two weeks later, when she feels a little unwell, she calls a toll-free number from her family’s mobile phone, connects a $1 monitor to it, and talks to a doctor. He studies her vital signs through the monitor and reassures her that everything is fine this time. Five months and five such virtual check-ups later, it is time for her to go to the hospital. The online doctor sends her an ambulance, which drops her 90 miles away at the nearest hospital, for a safe delivery. Thousands of mothers in Andhra Pradesh and around India are benefiting from the frugal technologies of wireless connectivity, sensors, software, and having a safer childbirth. 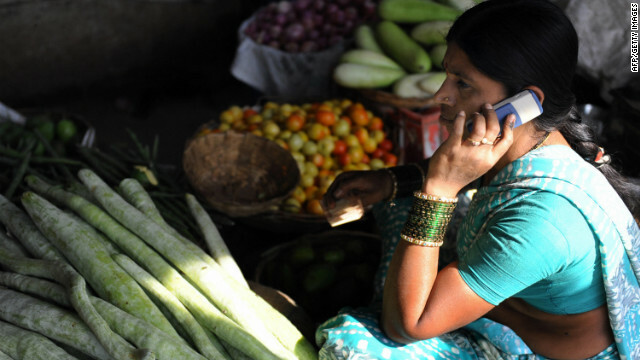 The combination of cheaper devices, easy connectivity and the high aspirations of the population could help India leapfrog development in several areas. Broadband internet can transform primary and secondary schooling by bringing the best teachers and techniques into every classroom. In Reimagining India: Unlocking the Potential of Asia's Next Superpower, edited by McKinsey & Company, digital educators Salman Khan and Shantanu Sinha argue that “replicating for hundreds of millions of aspiring learners what a few thousand previously experienced in the lecture halls of Harvard, MIT or Stanford would require an absurdly large investment. But now, this information is available to anyone with a cheap laptop and a broadband connection.” Indeed, today, Indian students are the largest users of massive open online courses from MIT and Harvard. Healthcare offers similar possibilities. Cheap devices (GE’s X-ray costs $50), sensors and broadband connectivity will open up access to healthcare, and at lower costs than the standard brick and mortar solutions (often at a fiftieth of the comparable U.S. cost). Swasthya Slate (a tablet device for patients to perform self-diagnostic tests including electrocardiograms, blood sugar, blood pressure, and heart rate readings) and “m-steth” (mobile stethoscope to transmit heart data) are smart, affordable substitutes for over half of all doctor visits. This is life-changing in a country like India, where the doctor to patient ratio is a meager 1:1,700 (compared with 1:400 in the United States). A better future awaits India in areas like energy and infrastructure as well. In Reimagining India, venture capitalist Vinod Khosla argues that rather than building more highways to accommodate more cars (like the developed countries), India could think about the best transportation system for self-driving (or driverless) vehicles. Schneider Electric’s President and CEO, Jean-Pascal Tricoire hopes that India will seize the golden opportunity to create an intelligent electrical grid that relies on more end-use efficiency and renewables, effectively leapfrogging conventional energy systems and becoming self-sufficient without incurring all the costs and collateral damage of the traditional model. Ram, a villager from the state of Uttar Pradesh, had no national identity papers, and so could not access government benefits when he migrated to Delhi as a construction worker. Through the Unique Identity Card program (UID Aadhar) Ram can now receive government benefits directly in his bank account, which is linked to his UID number. New technologies for biometric information ($10 retinal scanners), new database technologies, and new software made it possible to roll out Aadhar to 400 million Indians in record time – at a tenth of the cost in developed countries, and in one-fifth the time. If successful, Aadhar can fundamentally change the delivery of government services for 1.2 billion people. For example, if food subsidies went directly to recipients (as cash or vouchers), instead of distribution through “fair-price” shops, half the current outlay could feed all of India’s poor. The same breakthrough is possible in access to all government services, retail services, banking and financial inclusion, agriculture, medical care, education at all levels and in many other fields that we haven’t even thought of yet, and may help India to drive faster inclusive development for its population. In true Indian tradition, the potential for technology to leapfrog is enormous – and so are the barriers. As experience shows, progress may be fitful, but when India can imagine, mobilize, and leapfrog, ten years can change almost anything. Next entry »Can world prevent more Lampedusas? India is at a potentially fantastic crossroads which can improve lives vastly. The question is whether or not it will be able to overcome the entrenched barriers to this progress. Let's hope so! Indeed, India is a land of contradictions. On the one land technology helps the country leapfrog into the 21st century. Its large, young and skilled workforce contributes to a fast-growing economy. Yet the country has a hard time to tackle the huge social, economic and environment problems. Widespread poverty, corruption and discrimination against women and ethnic minorities could be India's time bomb. Just a heads up. The photograph you guys published is from Indonesia not India. I did not know women in Indonesia wore saris. I guess this is typical Bangalore scene. Lady is wearing sari & bangles. Selling Drum Sticks, this is predominantly south veg item. Those are "snake gourds", not "drum sticks". But yes, that picture is a rather familiar scene in South India. I thought Farid will give him a fair chance being a fair reporter. Modi is no saint and neither are his rivals. I hold mr. Zakaria in high regard but his slant towards Modi is very obvious. And this is the problem with English speaking media In and out side of India. Two instances I would like to point towards are, Mr. Zakaria!s implication that Modi will be a good PM for some and not for others. Between the line implication for "other" meaning Muslim is obvious. Economic benefits of government policy in Gujarat has helped everybody across the ethnic line, not just Hindus. In the summation, Mr. Zakaria points out the Gujarat's phenomenal growth over last 20 yrs. has happened under 7 chief ministers not just Modi. Fact of the matter is Modi is at the helm of Gujarat for almost 12 out of those 20 yrs. and hence rest of the six CMs who ruled for a duration that was not long enough to make any significance difference in slow red-tape laced administration of Any government in India. Like the post above, I wished Mr. Zakaria had dropped his inherent anti-Modi stance and had interviews the guy himself instead of joining the band wagon of Modi bashing. For the record, I am from Gujarat and I have gazillion reasons to bash Modi for his failed leadership during the riots. If he represents the same leadership principles today, then India will have rude awakening. I felt the same too. He brought in Montek Singh Ahluwalia to parrot Rahul Gandhi's line that UPA and Congress Party is somehow fighting the corruption which it has embodied for a majority of its his history Then he brought in Karan Thapar to accuse Narendra Modi under the guise of "according to some accounts" and very promptly and predictably failed to mention that the Indian Supreme Court has exonerated him of any and all wrong doings. It also absurd to suggest that Arvind Kejriwal should ignore Corruption in higher places and focus on everyday corruption on a lower level. I do not think corruption can be rooted out by focusing on the low level corruption as the High level corruption requires the low level corruption to feed it. For example, a Customs Officer has to pay a large bribe to obtain and retain his/her post and has to collect from people/companies to retain his/her position. It's better than supporting terrorism. I think you are wrong. Some low income group Indians living in middle eastern countries do send monies home but not the ones in US, UK or Canada. These are the educated upwardly middle class who couldn't care a tuppence about India & our present ruling elite prefer if the middle class in India & abroad keep their 9 to 5 schedule & continue with their loot. Shockwaves VERY LOW FREQUENCY CALL YOU THE THUNDER. EVENTS TO HAPPEN WITH SEVERAL OTHER thinkit THAT DO NOT LISTEN. WITH THIS IF YOU THINK OTHERWISE DELETE PART OF ESIMULOS. EVEN IS SENT FOR CALLS TO CELL TAKES. SPIES ARE THOUSANDS OF 7 SATELLITES IN VENEZUELA. ALL COUNTRY AGENCIES WORKING IN VENEZUELA. I led the vehicle design for this health care project (HMRI). One of the best health care systems implemented. Hope other states replicate it. Lol @ berticode, must be one of those kooks that says anyone who doesnt agree with them must be a "terrorist" eh? Personnally, i thought it was only members of congress that felt that way. Must be spreading though. @ Sanjay, we are ALL Gods children!!! Thou shalt not judge! Particularly on race. Yes: they don't have bread so let them eat cake! These people have a distinct advantage. When they call the help line, they can understand them. Good attempt, this article and makes for a nice read. But as some of us have learnt, great ideas aren't so rare. The tough oart is bringing them to life. Nice to hear the musings about futuristic transportation and energy but can we see a followup on real projects? Fareed , If you are Fair Reporter you should interview Narendra Modi.and interview more people like Ratan TATA.If you for anti-corruption and love india..... I am watching your show long time...but this episode ..more like anti modi show....??????....... Please visit Gujarat.....before you say anything....... I am not fan of you anymore Fareed.......????????????????????????????????????? I think my schedule will be change from next sunday..
fareed .... can you find out about Who actually did 2G scandle ???? make sure you get inside from sonia or congress..???? I would be most interested in hearing that interview/story also @ Fareed. The one that @ Ram just asked about. Hope you give it some SERIOUS consideration. Thank you. Will CNN re-air this episode of "India at cross roads" again? if so when? Or is there some way to watch it online? Maybe if you have "on demand" @ John. Im not sure if news channels are included in that though. Or go to cnns home page and check at the bottom. They have a cnn shows that you can view maybe this one will be there idk for sure though. Wish i could be more helpful. Good luck! Oops @ John, i posted the rest of the how to view on the wrong thread. Anyway b4 you can view their shows you must first click on "see all news" in the latest news section. India can only leapfrog to the future if it breaks the super-heavy chains of social ills. Discard the caste system first. Then control the menacing population growth and alleviate the poverty. In short, a social revolution is needed for a complete overhaul. Never mind if it takes a decade or two. Lol @ venze, a social revolution is needed in the US also but i bet you or i will never see it! You may see it in India though if you try to do population control because that is just barbaric! And yes @ venze, ya cant change the future by clinging to the past! You draw no conclusions on India & its future & I understand why. Speaking to Montek Singh Aluwallia, a toffee nosed English bred git who said we Indians can survive on 30 cents a day is perhaps a mistake. This man spent over 10000 USD for his bogs in his office shows how far he is from reality. Mr Nilekini has spent close to a billion dollars & his pet project is under judicial review. Just imagine , what address can a slum dweller in India give for the Aadhar card ? ?, a must to obtain one. In any case, the poor have a "below poverty line card, ration card, voters ID + other ID's to claim various doles, most of which is looted anyway by the most corrupt governments in the world. Do bear in mind that its these very poor citizens politicians bribe to get to power. In my opinion, serious change will happen in 2014 & Mr Modi can be the breath of fresh air. His getting a visa to USA, which he has never applied for, does not matter. Do bear in mind that Congress ruled this country for nearly 56 yrs, full of ethnic strife, stage managed riots (1984 Anti Sikh genocide) & continues to do so in Kashmir & North Eastern India. Iam not a BJP supporter, but,Gujarat Under Modi has fared better than all other states over the last nine years.